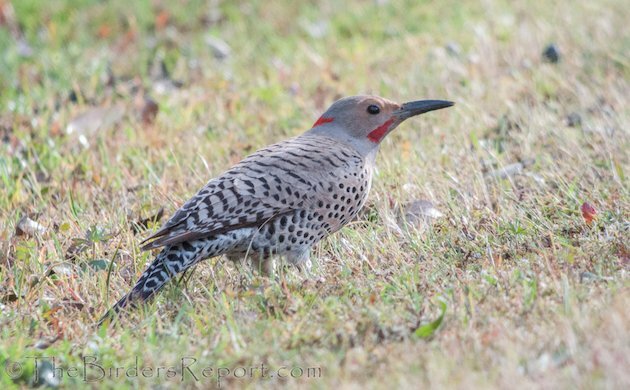 The Northern Flicker (Colaptes auratus) is the third largest woodpecker in North America if you count the Ivory-billed Woodpecker. It is smaller than the Pileated Woodpecker. 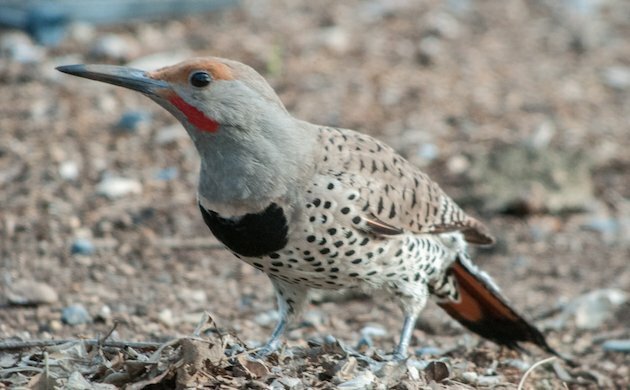 This is a male red-shafted Northern Flicker I spotted at Lema Ranch a few years ago. You can see that the male of the species has a bright red mustache not present on the female. Both sexes have salmon red underwings and tail. 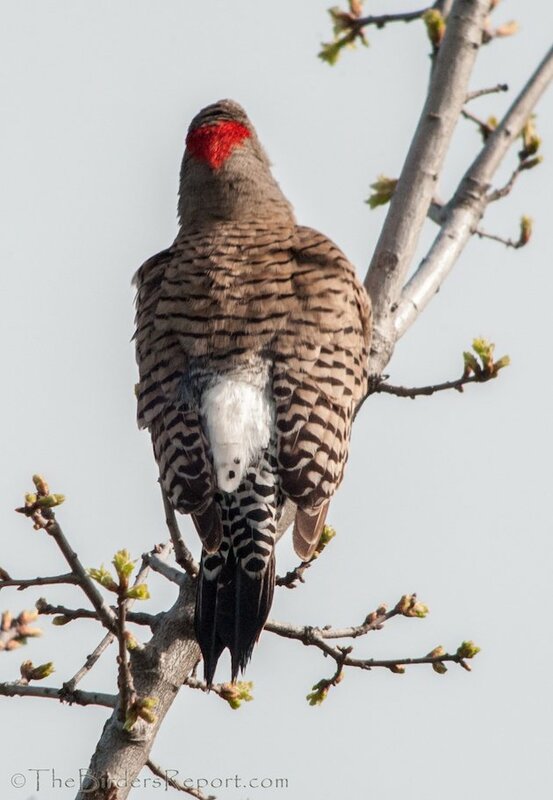 You may also notice from the top image that this male has no bright red crescent shaped marking on his nape. Click on photos for full sized images. You will often find them digging in the ground, in short grass areas, primarily for ants. They have that remarkable protrusile tongue that is characteristic of woodpeckers. The sticky tongue darts out as much as 4 cm beyond the bill tip as it laps up adult and larval ants. This is a video I shot last weekend during the Christmas Bird Count. 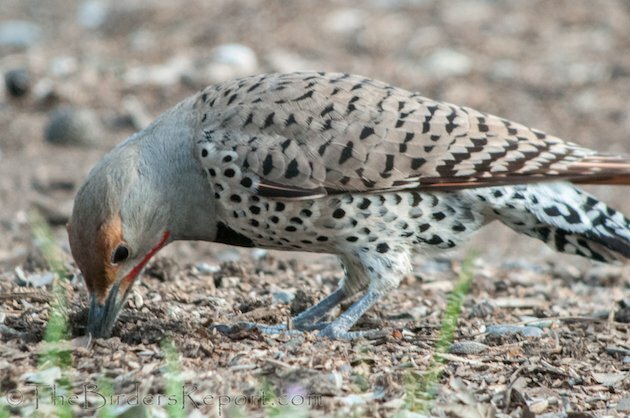 This male red-shafted Northern Flicker appears to be feeding on ants as he digs into the soft, wet ground. The red-shafted subspecies (Colaptes auratus cafer) in the photos above is found in western North America, and the yellow-shafted subspecies (Colaptes auratus auratus) is found in eastern North America. 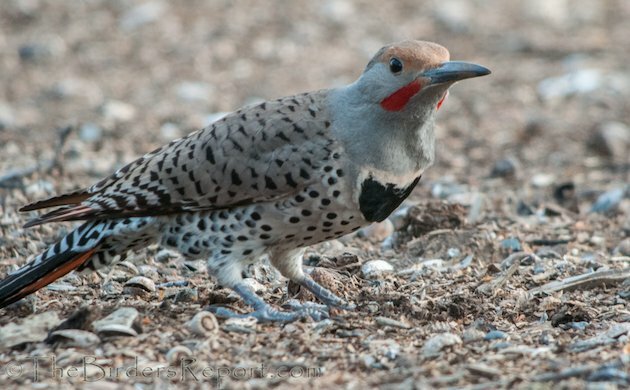 Intergrades of these two subspecies occur, according to the Peterson Field Guide to North America, where their ranges overlap, at the western edge of the plains. But we are seeing them in California. Note the bright red crescent on this bird’s nape, the field mark of a yellow-shafted sub-species. The image below is the female that was hanging out with this male. As far as I know, there is no way to tell if a female is an intergrade or not. 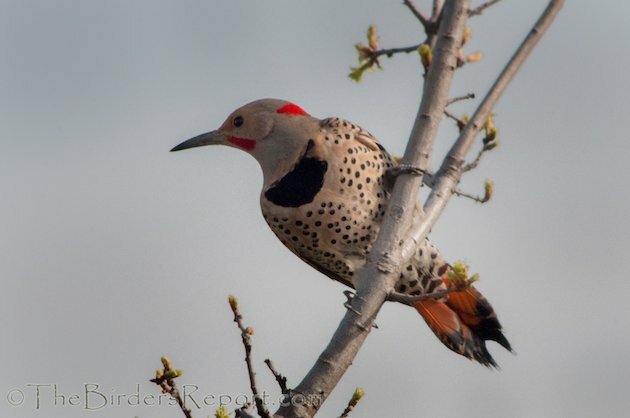 The male Northern Flicker of the yellow-shafted subspecies has a black mustache and the red crescent mark on his nape. Here are a few photos of the intergrade male after he flew up into a nearby oak tree and into the sun to preen. 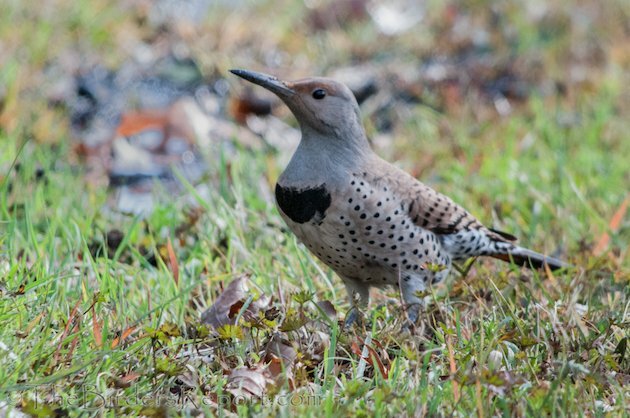 Here you can see the white rump patch that is conspicuous in flight of any of the flickers, male or female. This last photo shows the beautiful salmon red undertail coverts on this intergrade male. 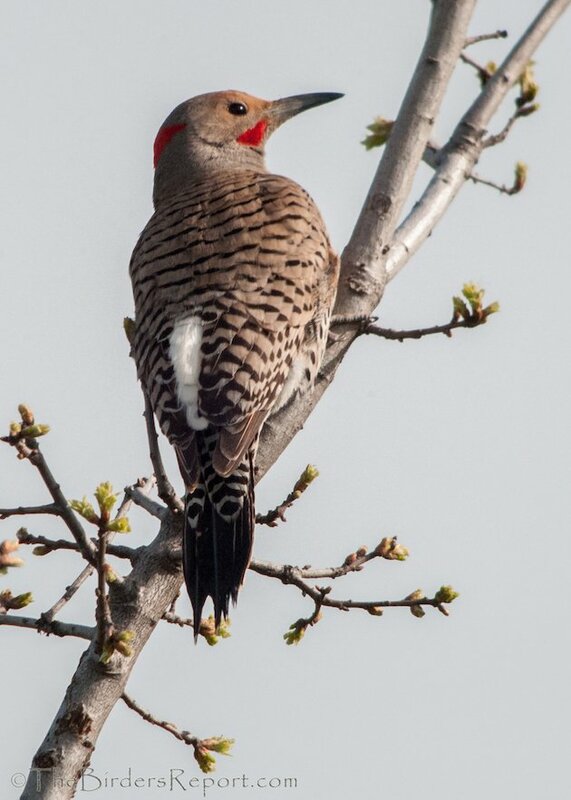 This is one cool woodpecker! Were the underwings entirely red?